MusicRow is pleased to announce the nominees for the 30th Annual MusicRow Awards, Nashville’s longest-running industry trade publication honors. Download the PDF and see the complete list of nominees. Subscribed members of MusicRow will receive ballots by email on Friday, May 18. Voting closes on Friday, May 25. 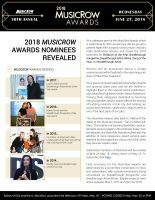 The 2018 MusicRow Awards will be presented during a private invitation-only event on Wednesday, June 27. To subscribe and receive your ballot and invitation, click here. 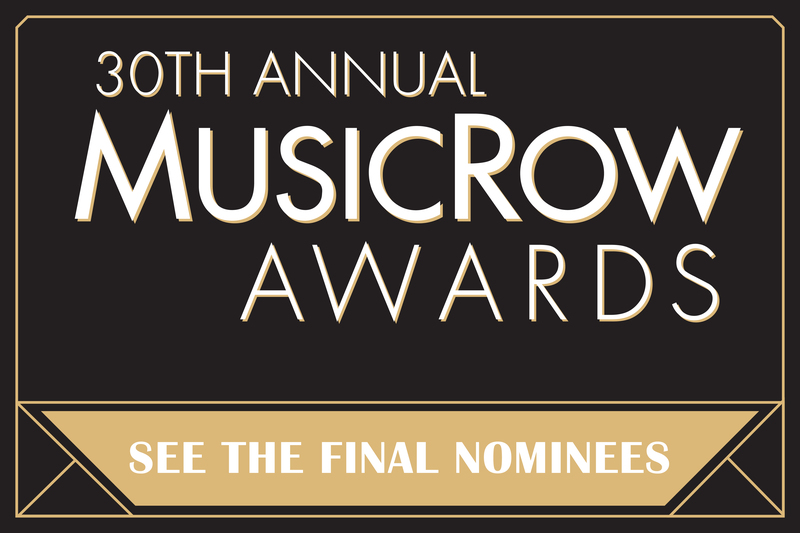 Nominees in all four categories are determined by the MusicRow critics panel. Winners are determined by the publication’s subscribed members. Outside submissions were accepted for the Breakthrough Songwriter and Breakthrough Artist-Writer categories, which honor writers and co-writers who scored their first Top 10 single during the eligibility period (May 1, 2017 to April 30, 2018). MusicRow will also distribute the Top 10 Album All-Star Musicians Awards at the event, recognizing the studio players who played on the most albums reaching the Top 10 of Billboard‘s Country Album Chart during the eligibility period. Honors will be presented for guitar, bass, drums, fiddle, keyboards, steel, vocals and engineer categories. Winners will be profiled in MusicRow’s June/July print magazine, which will debut at the June ceremony. If you do not have a subscription, you may subscribe to receive your ballot and invitation.